Do You Need a Lawyer for a Loved One Who Was Burned? You should hire a lawyer that has won explosion cases involving severe burns and other injuries from the blast and fire. This is more than just having experience handling these kinds of cases. You want a successful lawyer who can win your case. Attorneys Fred Pritzker and Eric Hageman recently won over $10 Million for a man who suffered second and third-degree burns when gas exploded. Our investigation found that the propane gas company that was supposed to fill the tank, only filled it about 30%, creating a situation where the odorant in the propane reacted with the chemicals in the lining of the tank, rendering it odorless. Our client could not smell the propane gas that was billowing around him as he struck a match, igniting the gas. The heat and fire basically melted the skin off of part of our client’s body. Our client had only been married about a year. We filed a claim on his wife’s behalf, also, as she helped her husband on his road to recovery. You want burn attorneys with stories like this one because it means they have been in the trenches fighting for burn victims and won. To contact lawyers Fred Pritzker and Eric Hageman, use the form below. 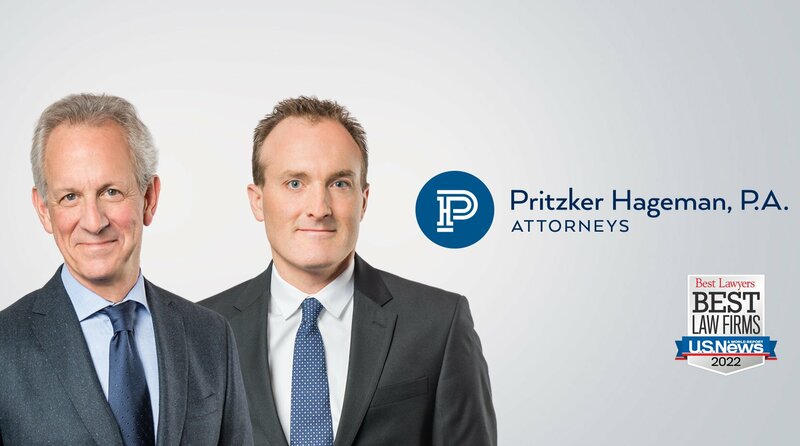 Attorneys Fred Pritzker and Eric Hageman have worked together on many explosion cases and have seen the consequences of improperly maintained propane tanks and non-functioning functioning smoke and carbon monoxide detectors. Some of the cases that they have fought have held landlords responsible for not taking care of their apartments, and large businesses responsible for not providing the proper propane safety training to employees. We help people throughout the United States sue gas companies and others to get answers, compensation, and justice. One recent case involved a propane (LP gas) tank exploding and causing the death of a client. The clients family won a settlement of $4,000,000. Attorneys Fred Pritzker and Eric Hageman know that a settlement like this provides financial stability in very challenging time for grieving families. They gather all the facts for their clients and work with them throughout the legal process. With propane gas, which is highly flammable, yet odorless, part of our search is looking for evidence regarding the chemical odorant that is, by law, supposed to be added to it. Propane gas companies are responsible for making sure the odorant is added, and the company filling the tank is responsible for making sure it is filled correctly to prevent odor fade. If people can’t smell leaked propane gas, they will not know that they are in danger. It is the responsibility of the landlord to provide a safe apartment for their tenants to live in. Oftentimes rental apartments and duplexes are not taken care of and the units are rented without basic safety features. A recent explosion case involved a client whose mother died from a kitchen fire. We argued that the high level of carbon monoxide indicated that she survived for a lengthy period of time after initiation of the blaze.